The definition of drop-dead gorgeous has just recently been snatched by René Lacombe in the 160G June 2010 'Sweet Seduction' spread. The editorial was shot by photographer Pierre Dal Corso and the title of this spread couldn't be more precise on how to describe this gorgeous babe. 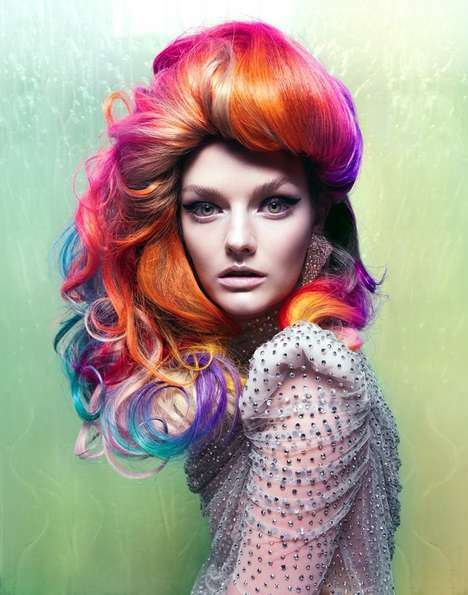 Represented by Ford Paris, Lacombe flaunts herself very elegantly with rainbow lights submerging the setting. The best part of the shoot is the dazzling cocktail dress and sky-high stilettos. Be sure to check out the gallery for more pictures from René Lacombe in 160G June 2010 'Sweet Seduction' Spread.